The Banjo: America’s African Instrument. By Laurent Dubois, Cambridge, MA: Belknap Press of Harvard University Press, 2016. Laurent Dubois, professor of Romance Studies and History and director of the Forum for Scholars and Publics at Duke University, asks a seemingly simple question early on in his book: “What sound will accompany the end of days?” (19). The question serves as the beginning of the story of the banjo that draws upon the history of instrument making in tenth-century Spain and the prominence of lutes. Dubois notes that the lute began to transition during this time period from an instrument with a wooden body and an opening under the strings to a new instrument made of a hollowed wooden body that was round or oval and covered with animal skin. The new instrument became known as the banjo. A prolific author with books on Haiti (2004, 2011) and the politics of soccer (2012), Dubois completed his research on the banjo with support from a Guggenheim Fellowship, a National Humanities Fellowship, and a Mellon New Directions Fellowship. In his book, Dubois seeks to provide the reader with a biography of the banjo through its emergence in Africa to the folk music of Woody Guthrie and Pete Seeger from the 1940s and beyond (though post-1970s uses are more of a coda). The descriptions of the banjo in West African culture provide the reader with a detailed history of how the creation of certain instruments has a major impact on cultural conventions. Dubois explains that the banjo was used to “connect with both the past and the present, to build a bridge of memory and recall. It welcomed different styles, generating solidarity and community through its sound” (52). While this description is offered as a reflection of the early days of the banjo, Dubois shows how the ability of the banjo to link the past to the present and to cross cultural divides continued as the instrument grew in popularity among certain populations, including the newly invented genre of bluegrass after 1946, and the (mostly) white folk music revival that stretched from the 1940s through the 1960s. 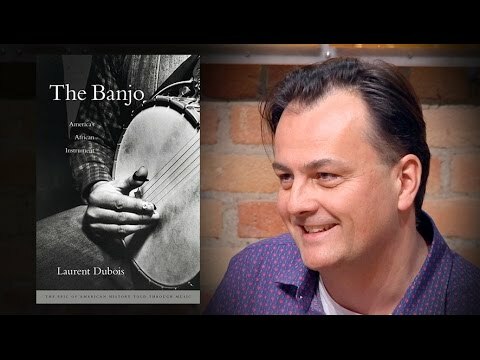 While one may be able to find a book on the history of the banjo for a certain period of time, Dubois breaks new ground by offering a thorough biography of an instrument riddled with a diverse history. One of the strengths of Dubois’ book is his ability to move from time period to time period while keeping his reader engaged. Dubois does not shy away from politically complicated topics as he reflects on the role of the banjo as an integral part of minstrelsy. Further, Dubois details the role of the banjo in slave culture and how this was used as a means of protest as well as a means of escaping slavery. Dubois’ book would be most appealing to those interested in music and popular culture. 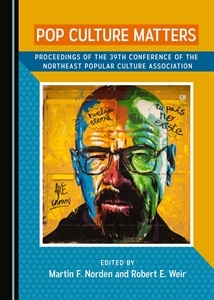 However, his writing and his ability to weave multiple areas of popular culture including art and literature into his explanations, makes this book suited to a wider population. The execution of the research and writing on the banjo as America’s African instrument is appealing to those who may question how history intersects with artifacts of which we pay little attention. For example, it remains underappreciated that the banjo’s centrality in “white” Appalachian music from the 19th century on was an appropriation of black culture. While most people have seen and heard a banjo, learning about how this instrument played a significant role throughout history may make the reader believe that a banjo very well be one of the sounds accompanying the end of days.